MASSIVE 50% OFF NOURKRIN - 3 MONTH SUPPLY! Nourkrin® is drug free, it combines the unique Marilex® marine extract with ingredients such as Vitamin C and Silica, to enhance its uptake and effectiveness. 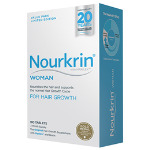 Nourkrin® has been clinically proven to reduce thinning hair and restore hair for both women and men. 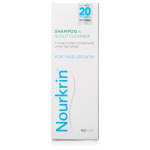 Try Nourkrin® today for the thick, strong and healthy hair you have always wanted. 2 Tablets a day is all it takes and you should see results in 3-4 months of continued use. 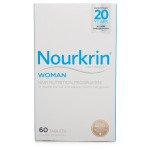 www.nutrisun.co.uk is an approved stockist of nourkrin products in the UK.